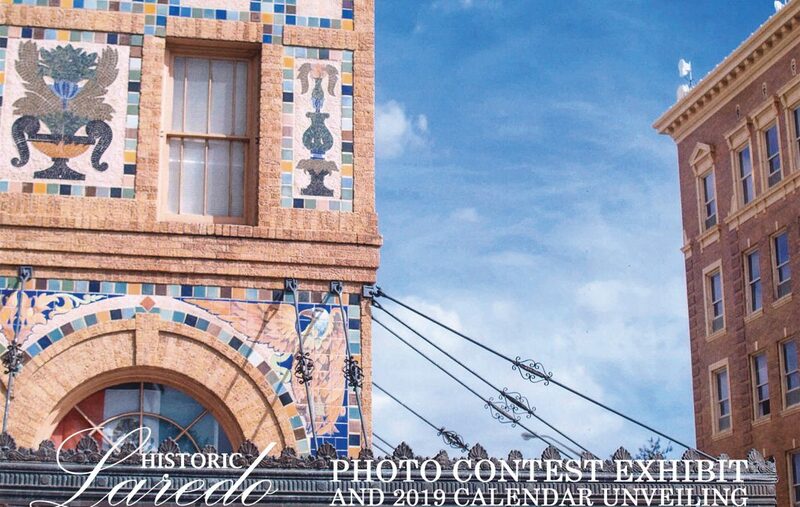 The Webb County Heritage Foundation will host an opening reception for the exhibit of entries in the “Historic Laredo” Photo Competition on Thursday, December 6 from 6 – 8 p.m. at the Villa Antigua® Border Heritage Museum, 810 Zaragoza St. The public is invited to view all the competition entries which are on exhibit throughout the month of January. The 2019 Historic Laredo calendar will be unveiled that evening and be available for sale to the public. The Webb County Heritage Foundation wishes to acknowledge the work of all the talented photographers who participated in this competition. Mr. Marco A. Valdez’ photo of “Hamilton Hotel and Rialto Hotel” was selected as the First Place winner, and is featured on the cover of the calendar. Mr. Horacio R. Rodriguez’ photograph of the “Trains by El Cuatro” won Second Place, and Mr. Neto Gonzalez’ photo of “Seven Flags Park” won Third Place. Photos selected for the calendar were judged among entries submitted to the Foundation’s Historic Laredo Photo Competition conducted last summer. The Photo Competition was designed to foster a greater appreciation of the region’s historic architecture, significant landmarks, and other notable historical features. In addition, the calendar features some of the important dates in Laredo’s history which serve as a convenient educational tool.